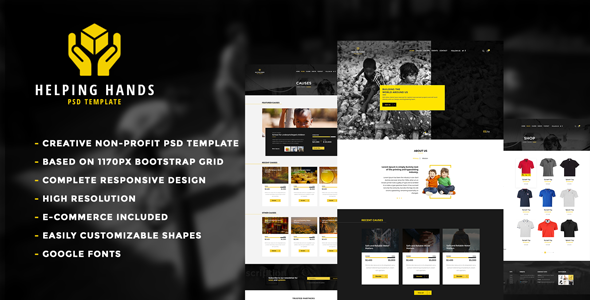 Helping Hands – Multipurpose Non-profit PSD Template Created by themexriver. This templates have specific characteristics, namely: CREATED IN ADOBE PHOTOSHOP CC BY . You can use this Helping Hands – Multipurpose Non-profit PSD Template on Psd templates category for cause, charity, donate, donation, donations, environment, foundation, fund raising, non profit, non-profit, organization, psd template, template, wild and another uses. Icon used: Icons8, Font Awesome.